Remove chicken from bag. Cover and grill chicken 4 to 6 inches from medium heat 20 to 25 minutes, turning after 10 minutes, until juice of chicken is no longer pink when centers of thickest pieces are cut. Serve with sour cream. 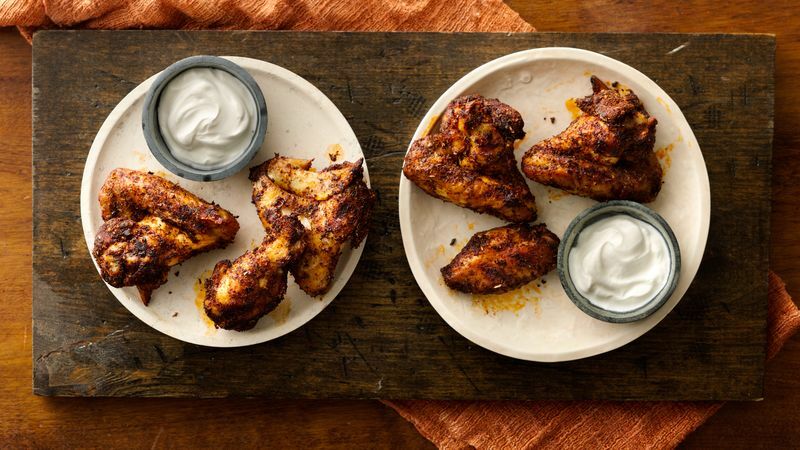 These flavorful chicken wings make a terrific appetizer for a summer barbecue. Cool! You can grill the wings ahead of time. Just refrigerate and serve cold.